Date Added: Wednesday 27 March, 2019 by Zinnet B.
I just hold it in my hands and have to say, woww ... just awesome! Date Added: Sunday 20 May, 2018 by OLEG A.
Superbly. I was afraid that I would not get the document because there are a lot of Scam sites. But now replica in my hands. The quality is excellent. Of course, he will not pass a serious official check (border guards or immigration police). But to stay in a hotel with his mistress, so as not to advertise his name is quite well!.. Date Added: Tuesday 06 March, 2018 by Dave K.
Date Added: Tuesday 06 February, 2018 by eric l.
Date Added: Tuesday 30 January, 2018 by Michael R.
I received my order on time, very good job, well above and beyond expectations for the price paid. Thank you. The service is highly recommended.. 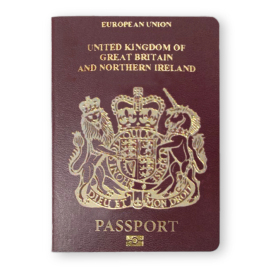 Date Added: Thursday 03 August, 2017 by Dan H.
Just received the passport prop. Fantastic work! I'll definitely be ordering again.